In this section, you will learn about the tools required and steps to setup development environment to develop a Node.js application. Node.js development environment can be setup in Windows, Mac, Linux and Solaris. The following tools/SDK are required for developing a Node.js application on any platform. NPM (Node Package Manager) is included in Node.js installation since Node version 0.6.0., so there is no need to install it separately. 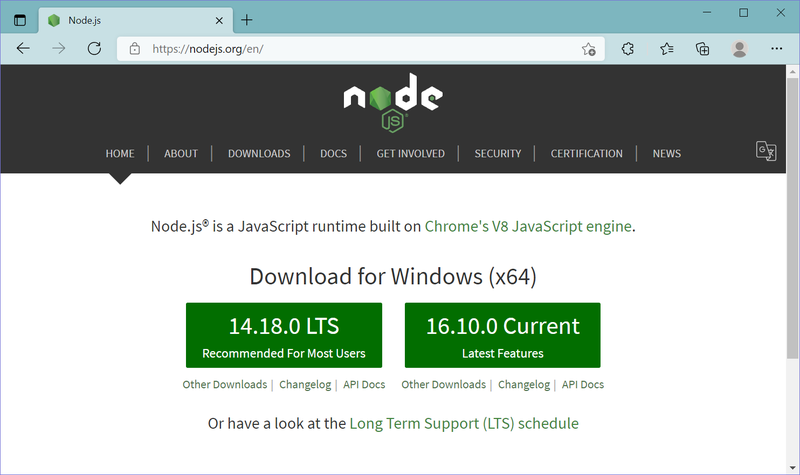 Visit Node.js official web site https://nodejs.org. It will automatically detect OS and display download link as per your Operating System. For example, it will display following download link for 64 bit Windows OS. Download node MSI for windows by clicking on 8.11.3 LTS or 10.5.0 Current button. We have used the latest version 10.5.0 for windows through out these tutorials. After you download the MSI, double-click on it to start the installation as shown below. Click Next to read and accept the License Agreement and then click Install. It will install Node.js quickly on your computer. Finally, click finish to complete the installation. Once you install Node.js on your computer, you can verify it by opening the command prompt and typing node -v. If Node.js is installed successfully then it will display the version of the Node.js installed on your machine, as shown below. Visit Node.js official web site https://nodejs.org/en/download page. 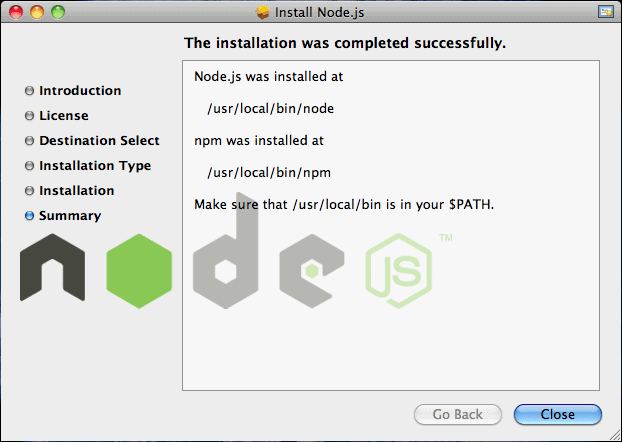 Click on the appropriate installer for Mac (.pkg or .tar.gz) or Linux to download the Node.js installer. 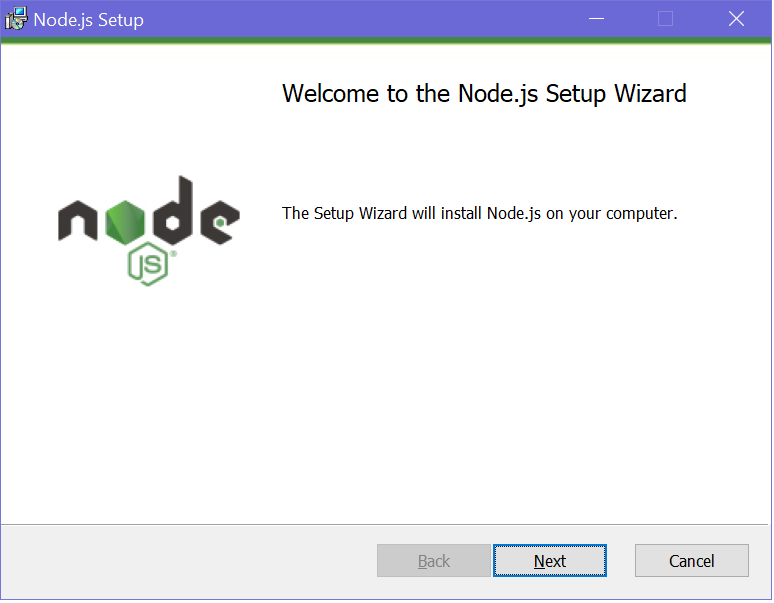 Once downloaded, click on the installer to start the Node.js installation wizard. Click on Continue and follow the steps. After successful installation, it will display summary of installation about the location where it installed Node.js and NPM. After installation, verify the Node.js installation using terminal window and enter the following command. It will display the version number of Node.js installed on your Mac. 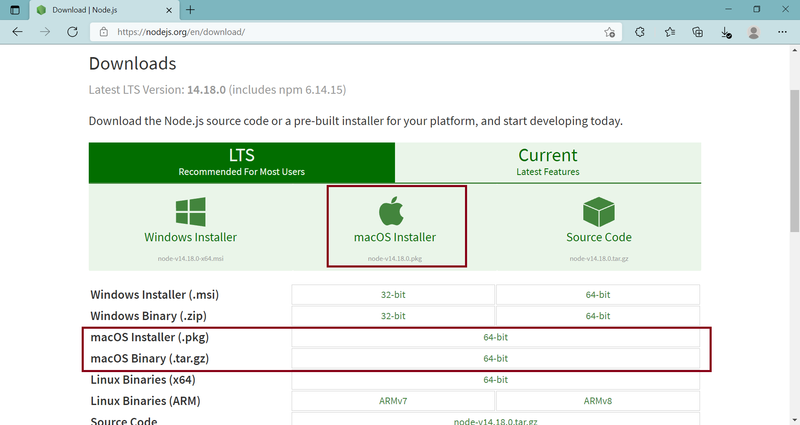 Optionally, for Mac or Linux users, you can directly install Node.js from the command line using Homebrew package manager for Mac OS or Linuxbrew package manager for Linux Operating System. For Linux, you will need to install additional dependencies, viz. Ruby version 1.8.6 or higher and GCC version 4.2 or higher before installing node. Learn how to setup MS Visual Studio for Node.js development in the next section.